Pinf Hry are games for kids with special needs, like Autism, Down\'s syndrome or Cerebral Palsy. With Pinf Hry, special needs kids can learn how to read, write, recognize colors, read time from clock. Kids with Autism, Downs syndrome or Cerebral Palsy see games very different from the rest of us. Their cognitive ability to read, write, recognize, organize and perform a certain action is very different. Therefore they require specially designed games specifically made for them. And as any concerned parent or guardian, it is your job to give them the game they can play with comfortably in order to give them some happiness. Pinf Hry is designed for children with special needs by Ondrej Vrabel.Pinf Hry is a unique game for kids with special needs that teaches them how to read, write, recognize colors, read time from the clock. They are also practicing fine motor skills and logical thinking. This amazing game is supported by Android, iOS, macOS, Windows, and Linux. This game is available in 12 languages and very affordable.This incredible game was given birth to by inspiration from the authors moms cousin Daska who was not learning new things like the author did. Although she has cerebral palsy, she loves new things, computers and wants to learn. The 15-year-old author Ondrej searched everywhere but found no game that could help her with learning. And so the author decided to create one. After learning programming and hours of trying, experimenting and testing. It was not easy, but he did it. 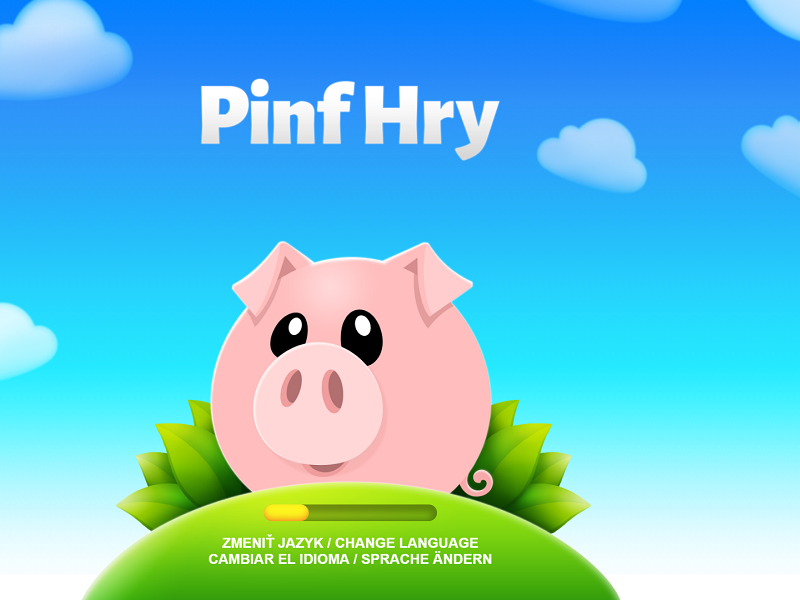 The first version of Pinf Hry was created. Daska loved it so much.I am grateful that in this fast world, in which we only seem to care about ourselves, a young person appears who turns this notion upside down. He decides to help not only to his family members but also to other children and adults with a variety of mental disabilities. He wants to help them learn what healthy children take for granted and learn naturally. I believe that these computer games will help show our children that they are fully-valued members of our society and that they can be successful in their lives despite their diagnoses, says Barbora B., a user of this awesome game.